Prior to joining the VFA, Camberwell competed in the Melbourne Districts Association and won premierships in 1921,1922 and 1923. 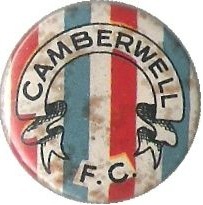 Camberwell also finished runners up to Oakleigh in 1924. Camberwell joined the VFA in 1926 as one of the replacement teams after North Melbourne, Footscray and Hawthorn moved to the VFL in 1925. Camberwell never obtained a premiership in the VFA, but did win VFA second division premierships in 1979 and 1981. Camberwell's best performance in the vfa was in 1946 when they were minor premiers, coached by ex Collingwood star Albert Collier. After the end of the 1938 season, one of the VFL's biggest stars Laurie Nash moved to Camberwell without a clearance. Nash played with Camberwell for four seasons and was widely popular. Nash was one of a number of prominent VFL players who moved to the VFA in the late 1930s as there was no individual salary cap as there was in the VFL.